It was the number one experience we wanted to have when visiting Kyrgyzstan. 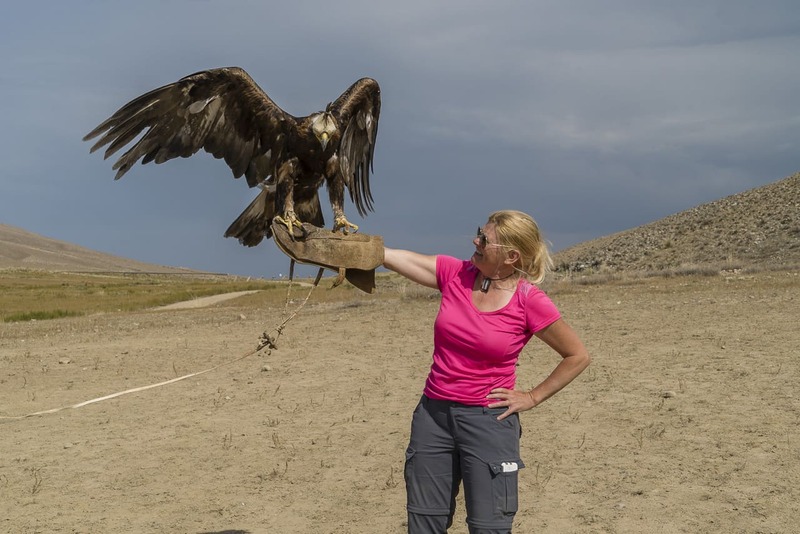 Seeing the Eagle Hunters of Central Asia finally happened on the last day of our trip. We were driving back to Bishkek from Karokol and our guide Cholpon phoned ahead to book a demonstration by the Salburuun Federation. 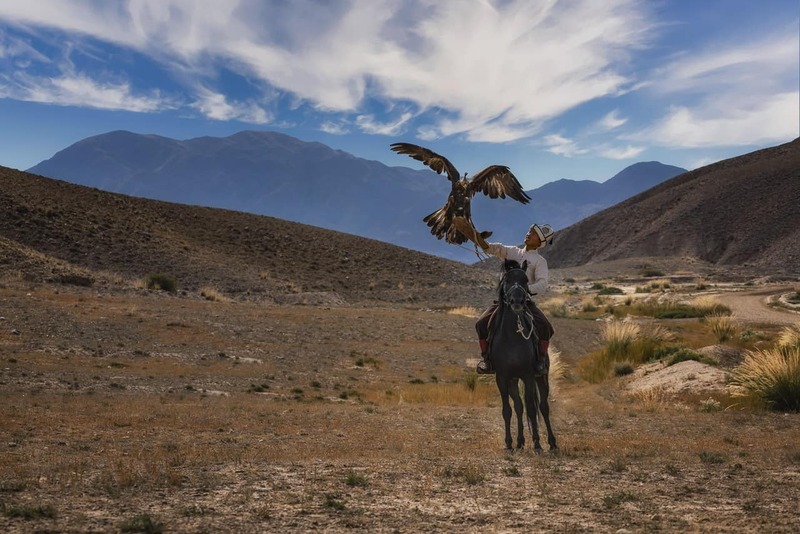 The Salburun Federation is the face of falconry in Kyrgyzstan. 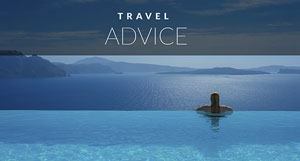 If you want to experience the way of the eagle hunter, this is the place to book. We were visiting Kyrgyzstan with US Aid to promote untouched regions of the country like Jyrgalan and lake Issyk Kul's south shore. 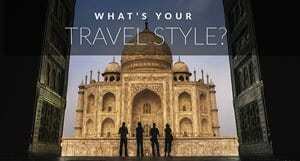 But even if you are commissioned to go off the beaten path, you stll need to see the country's number one attraction. To us, the Eagle Hunters are it. We met Eagle Hunter, Nursultan on the side of the road and followed him in his car down a bumpy lane to a horse race track and open field. The golden eagles were in the back of his hatch back and he brought them out to show us how he hunts and trains the birds. We even had the chance to feel the weight and power of these beautiful creatures as he placed them on our gloved arms. He told us the story of how he captured this bird of prey at a young age, trained him to hunt and will keep him for 20 years before setting it free to live out its days. Golden eagles live for 30 to 40 years so they have at least another decade of freedom. I asked him how he keeps the eagles from flying away and he said they give them just enough food to keep them hungry. If they were full and satisfied, they'd fly away. But knowing that there is a regular source of food coming each day, the eagles stick around. 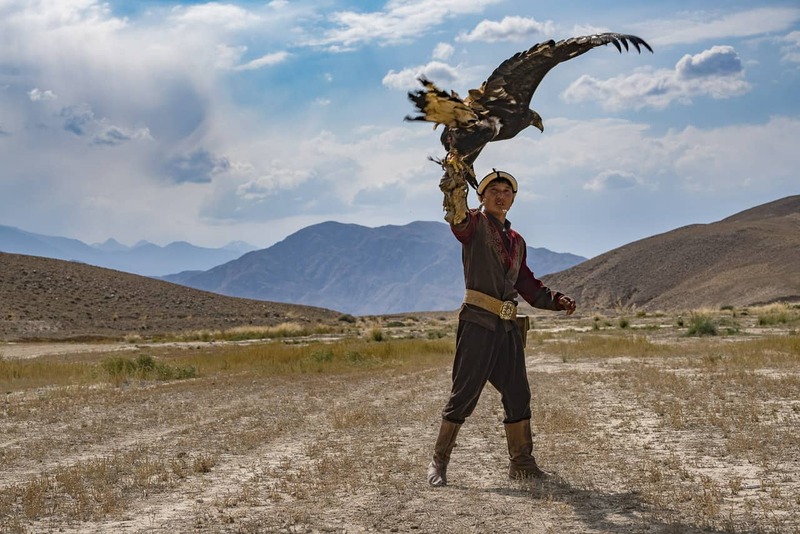 Our eagle's name was Karakoz placed second at the World Nomad Games and is ready and poised to take the championship at the next one! There are few hunters left in Kyrgyzstan and the family business is passed down from generation to generation. Demonstrations consist of first learning about the eagle, eagle hunting and having the hands on experience. When the eagle is placed on our arms we feel its weight. It heavy and strong. I am tentative to make it flap its wings as it feels precariously perched on my arm with its hood on. The hood is kept on to keep the eagle calm until it is sent off to hunt. I am unsure how I feel about all this. The eagle is captive but it is the family's main source of food. During the Russian occupancy the tradition nearly disappeared. 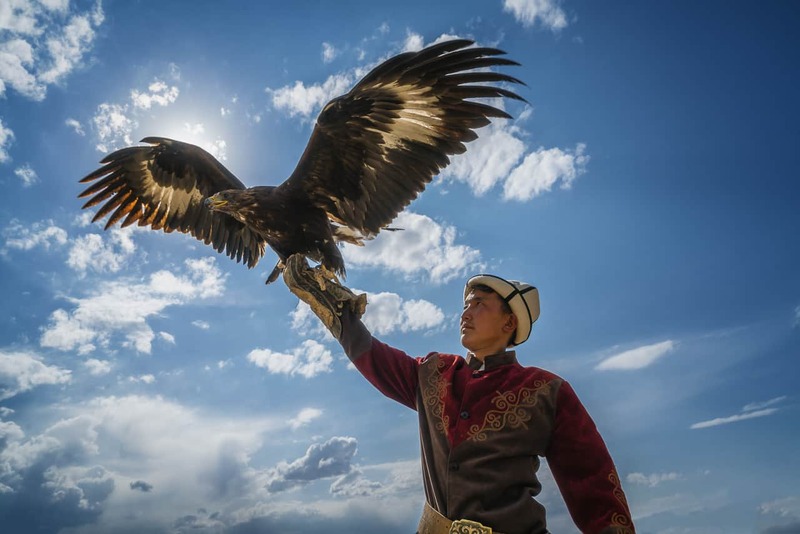 Today families have taken up eagle hunting again and while they compete in many festivals around Kyrgyzstan and Central Asia, they still use the eagles for hunting and food. Cholpon tells us that the Kyrgyz people didn't believe in using weapons to kill animals for food. To them it is more humane to use eagles. Traditionally they didn't believe in using weapons to kill animals. They train the eagles with fox skin for two months before moving on to live rabbits. 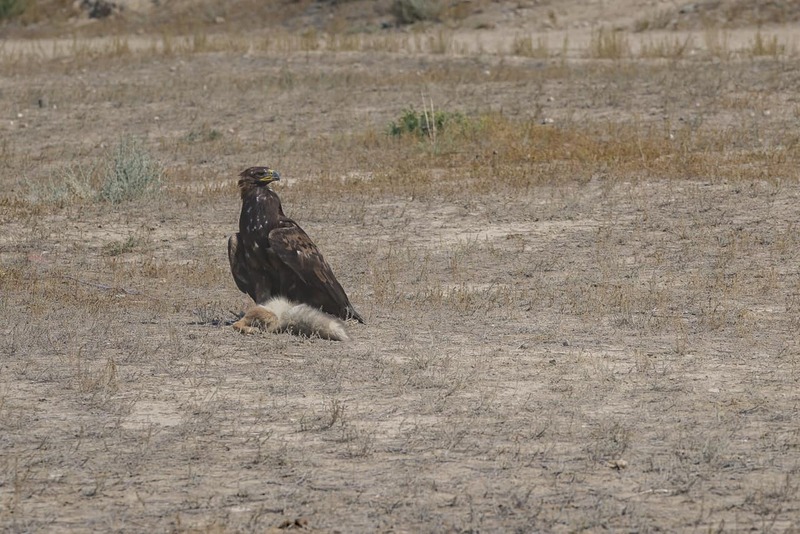 The poor rabbits are sacrificed daily to keep the eagles sharp but the families get a meal out of it. Plus the eagle's attack is swift and precise. 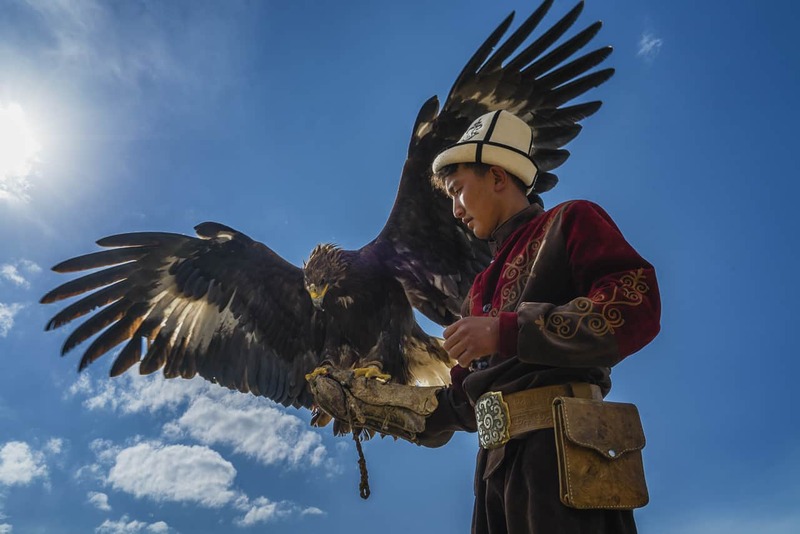 Once Nursultan is finished explaining how he captured the eagle, trained it and will keep it for twenty years before setting it free again, his assistant set off to trek up to the top of a cliff with two eagles. Nursultan stood waiting patiently with an outstretched arm before calling Karakoz to attack his arm. There was raw meat waiting and once he made the high pitched call, the eagle swooped down with such grace. It was down in an instant. Its eagle eyes found the chunk of meat with ease and as it munched on its afternoon snack, we snapped photographs and video in awe of its beauty. We were lucky, they had two eagles, so we got to see it a second time. This time was with a younger eagle named Black Eyes who is only 1 year old. It was no less exciting and even at one year this eagle was strong and powerful. Shooting from a horse look hard! 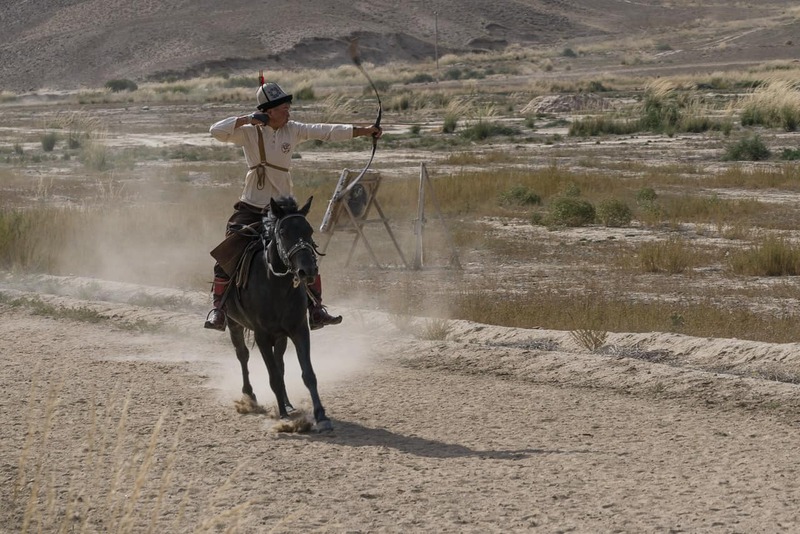 After our hunting demonstration, our guides were on their horses to showcase their archery skills. They stuffed the eagles back into the hatchback and I worried about the heat inside the car. But the horse demonstration was short and these men love their eagles. They are not only their livelihoods, they are family. So, we took heart that they knew what they were doing. During this entire experience, three horses with riders had been running the track at full speed. They were preparing for the upcoming holiday. Independence Day was just a couple of days away and the races were taking place and the horses were training for a 10,000 metre race. I couldn't believe how long they could keep up that pace! The Kyrgyz people are the original nomads. They are true horsemen. Descendants of Western Mongolia (Genghis Khan country) and the nomadic Central Asia tribes. Many people still live a nomadic life moving from mountains to valleys in their yurts as the weather changes. Horses roam free when not in use and have an almost wild quality about them. 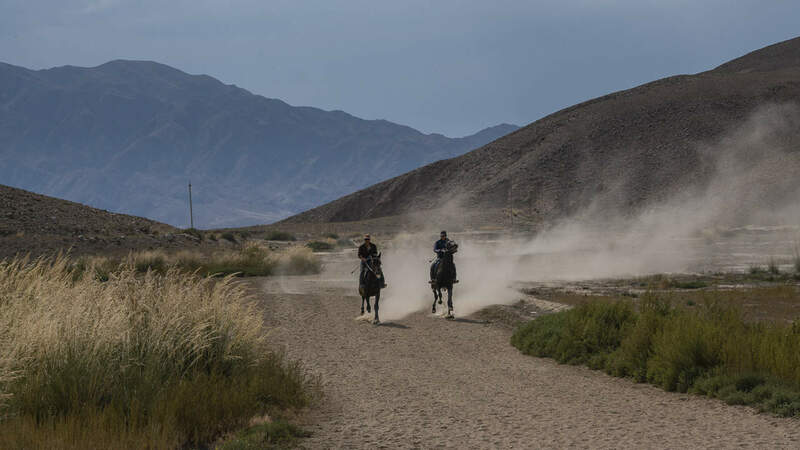 The Horse and Rider are at one and the Kyrgyz people are skilled and graceful in a saddle. This next experience displayed that talent beautifully. They showed us how they can hit a target while riding at full speed. We had just finished a mountain horse trek two days earlier and I remembered how it felt to move on a horse when it ran. 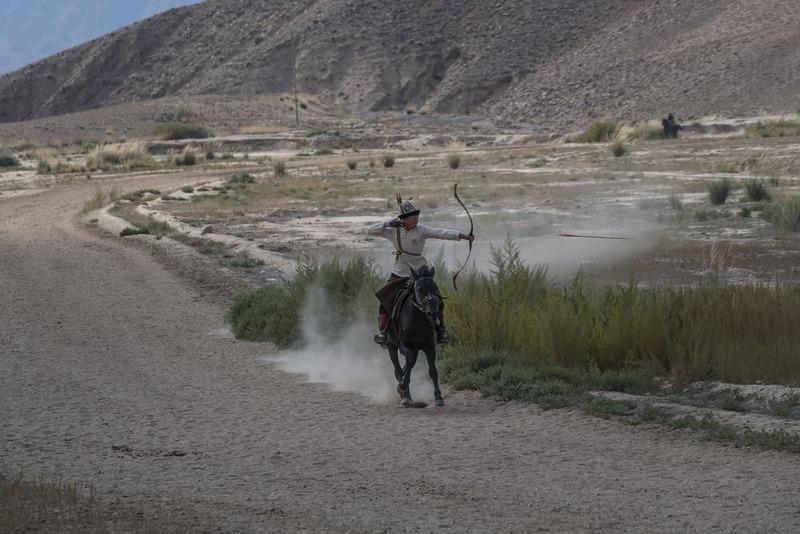 It took all my concentration to stay on the saddle, yet this guy was running with his hands held high on the bow with arrow pointed and ready to shoot. These men start riding as early as three years old and it shows. They are as comfortable on a horse as you and I on our favourite comfy chair. He hit the target with ease and let me try my hand at archery. Albeit without riding the horse. I've tried shooting a bow and arrow a couple of times and it's always the same thing. My first shot is great and close to the bullseye. I almost look like a professoinal. 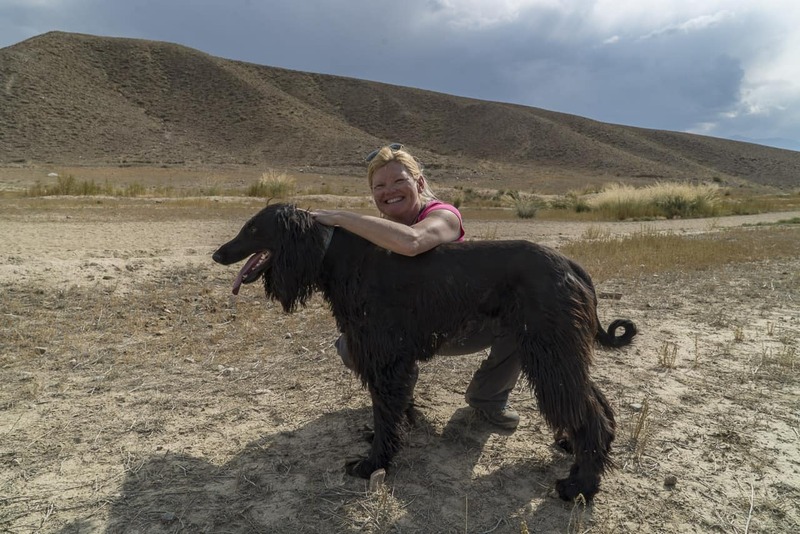 Our final demonstration was with Kyrgyzstan's most prestigious dog breed, the Taigan. Taigans are sighthounds used for hunting. The upper class has adopted these beauties as a sign of wealth and we are told that there are only 40 or so Taigan dogs in the country. They are excellent hunting dogs and our guides have yet another hunting demonstration planned. They ask if we would prefer a demonstration with a live rabbit or dead fox. We choose the dead fox. 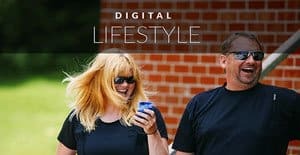 I had already watched one sacrifice during our trip in Kyrgyzstan where they cut off a goats head in Jyrgalan for a game of goat polo (more on that at a later date) and I wasn't ready to see a rabbit killed for my amusement. As the horseman pulled the fox fur along the back of his horse, the dogs began to run, but were quickly distracted by an actual live rabbit hopping in the distance. These dogs are born and bred to hunt and quickly discard the silly dead fox and the chase is on for the rabbit in the field. Lucky for the rabbit, it had a huge head start and out maneuvers the hounds who come back to the cars with tails wagging. The dogs are friendly and adorable. Their coats feel like soft sheep wool and they nuzzle in to say hello before finding a cool spot in the shade to relax. We didn't get to see the eagle hunters ride with their eagles perched but Dave did ask them if they could at least sit on the horse with the eagle on his arm. Nazuul Tan tells us that this horse is not trained to ride with an eagle but if he is careful, he can sit on the horse. I never really thought about it, but the horse, rider and eagle would all need to be in sync and at one with each other. 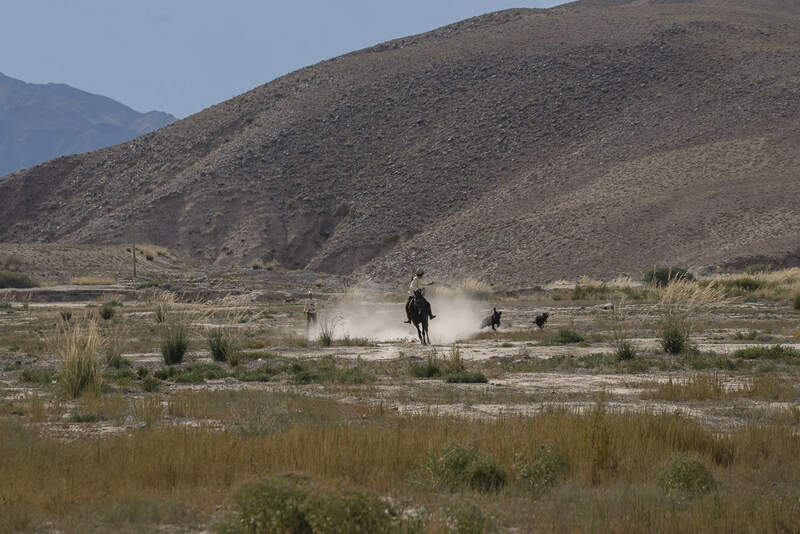 Hunting from a horse in the middle of the Central Asian plains is serious business. Those eagle talons are deadly and if one species doesn't trust the other, panics or doesn't know the other, it could turn deadly quickly. Eagles can take down a wolf and those talons are razor sharp. Imagine if a horse panicked and caused the eagle to attack. 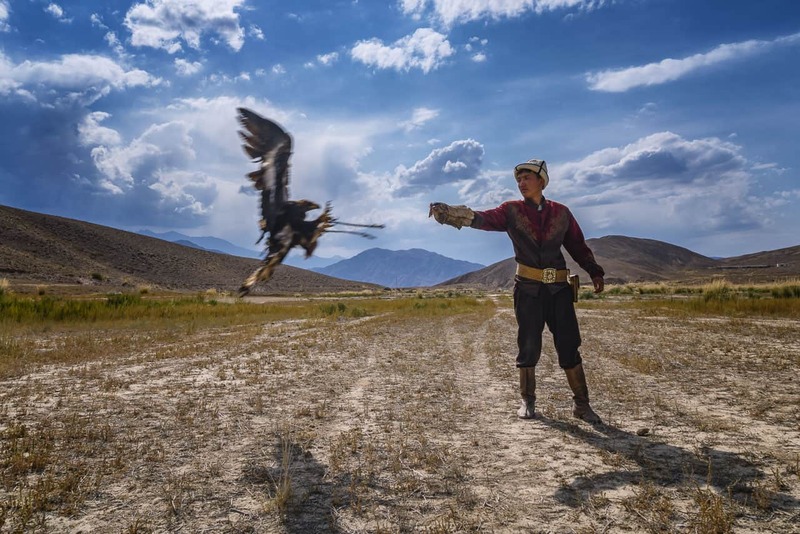 So while we missed out on the mini world nomad games that were originally scheduled during our time in Kyrgyzstan, we did get to see and meet the eagle hunters. The Eagle Hunters are surprisingly slight and quiet. They don't seem like the fierce warriors I expected, but then again, it's the eagle doing all the work, isn't it? 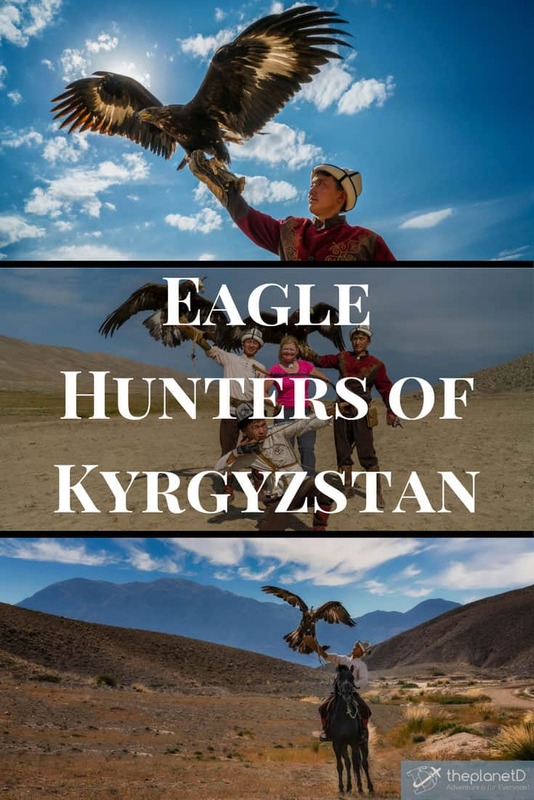 3 Responses to "The Proud Eagle Hunters of Kyrgyzstan"
EXTRAORDINARY WRITINGS. GOOD WORK & THE IMAGES ARE BEAUTIFUL. Fantastic post. 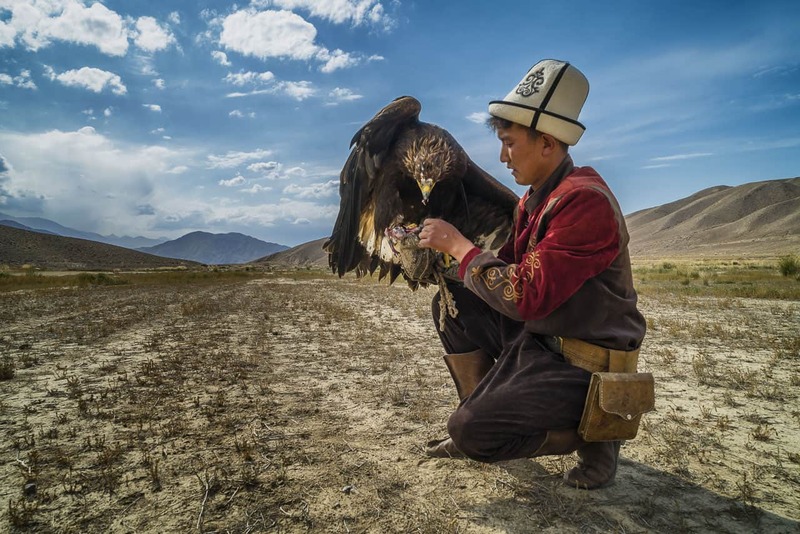 Watching the eagle hunters up close is one of the main reasons I have long wanted to visit Central Asia. The photos here are fantastic, almost life-like. This looks incredible! 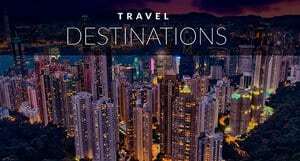 You know, it’s not often I see a travel blog post that is interesting, This is really great blog post. Thanks for sharing it.